It is little difficult for most of the bloggers/webmasters to choose the best shared web hosting for their blogs/website, especially for those who have little hosting knowledge or experience, because there are tens of thousands shared web hosting companies exist on the market. Therefore, I have worked out this article to teach you on how to choose the best shared hosting package for your blog/website. You may also go with the Managed Hosting for WordPress to stay away from the technical management activities. I have a bit hosting experience and thus I asked for advice from dozens of successful bloggers about the things to be considered while choosing the best hosting service. Finally, I concluded that there are at least 5 things you have to take into account when you are selecting a shared blog hosting. Now, read the following parts to learn the details. 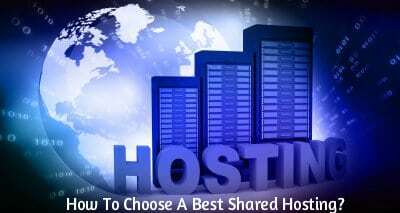 Below are the five things that you should consider while selecting the best-shared hosting for your webpage. Pricing is the first concern of people when they choose a service online or in a physical store. Therefore, pricing should be the first thing you need to pay close attention to when you are choosing a shared hosting package for your blog/site. Before going with a company, try to compare its service price with many others’ and choose the most affordable one. On the market, the average price of Linux shared hosting service is no more than $8/month, and the ASP.NET shared hosting service is a little more expensive than the Linux hosting service generally. However, if you want to create an ASP.NET blog, you can search the web and find a cheap ASP.NET hosting package from reliable web hosts. The feature is another big concern when opting a shared blog hosting. The more features a hosting package includes, the fewer limitations you will meet when running your blog. The best choice is to choose the hosting packages that come with unlimited hosting disk space, data transfer, domains, sub-domains, parked domains, FTP accounts, email accounts, etc. In addition, if you are looking for an ASP.NET hosting package, try to choose the one with Website Panel that comes with a clear interface. Besides, if you are looking for a Linux hosting package, go with those integrated with cPanel and 1-click script installer. Reliability is one of the most important aspects for webmasters, especially for those who are running e-commerce websites. The more uptime your site is running with, the more chances people can access your site and make a purchase. Less uptime may cause big business loss directly. Therefore, you have to pick a web hosting package coming with at least 99.9% uptime. There are numerous web hosts claiming to offer at least 99.9% uptime. However, according to my real hosting experience and the information I collected on the web, I find most of them can’t fulfill their commitments. Therefore, you need to learn the facilities and technologies the web hosts are using before going with them. Readers will leave your site soon and will not come back again if your site loading speed is too slow. In addition, search engines like sites that are running at a rapid speed. Hence, you need to prefer a hosting package coming with fast loading speed. Here, I suggest you to choose a solution from web hosts that utilizing Dell servers, multi-layer network and BGP technology. Moreover, the easiest way is to choose an SSD hosting solution to get faster loading speed because SSD server can avoid the time spent on spinning the disks and offer better-hosting performance. In addition to the aspects which I’ve listed above, customer service is another important consideration in choosing blog hosting. If you cannot get instant solution from your web host support team when you are in trouble, then you may lose your visitors or customers, which will cause you big loss. Hosting your blog with a reliable company offering responsive and instant customer service that can help you concentrate and grow your own business smoothly. Good customer support incorporates customer freedom, ensures money-back guarantee and provides support through phone, email or live chat. It is impossible to run a successful blog/online business without a high-quality web hosting. So, figure out the basic requirements of your blog/website like disk space & bandwidth and then check the reliability, availability and the operating system supported by the hosting provider. Technical problems may occur at any time to your blog/website and, therefore, you need to choose a solution from the web hosts that offer 24×7 customer service via live chat and email. Only in this way, you can contact the support team and get instant help to resolve your issue no matter when you need. Do you agree with my deliberations on choosing the best-shared hosting? If you have decided to go with the shared hosting, then it is a clever choice to grab the BlueHost Black Friday Sale 2016 as you save your hard earned bucks in getting a relaiable hosting service. Leave your thoughts about this post in the comment section. 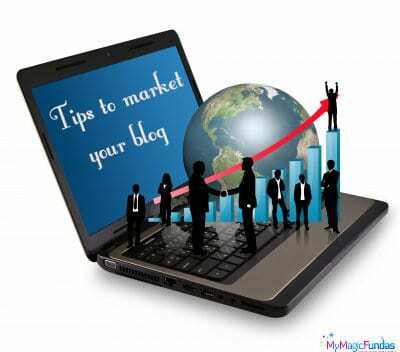 How To Market Your Blog Or Website In 2014? Shared hosting is like an apartment which is shared by multiple users, hence it is cheaper. So, while buying a shared hosting it is very important to take care of points which are mentioned by you like pricing, feature, reliability, speed and customer service. I would like to add something to your points like Shared hosting has advantages like customer don’t need to have technical knowledge to use share hosting since all technical stuffs are manage by service provider and it also provide security since service provider install firewall and server security application and program. But it is at higher risk since same server is use by multiple users. Also there is more of a risk of being blacklisted by search engines because someone else on the server engaging in such practices like spamming may get the entire IP address blacklisted. Yeah, I do agree with your viewpoint in technical knowledge and security features of the hosting provider. Just to add to this… I would always recommend a web hosting service which is most reliable than something which is cheap. It is better to look into reviews when you select a web hosting service. Don’t go by the term which says unlimited bandwidth or space always look at the reliability factor than anything else. Good info and keep up the excellent work. I completely agree with your viewpoint on choosing the web hosting and yes, it should be a reliable service. Stay tuned! You have highlighted very important points that we should consider before signing up with a hosting service. Pricing and features are the things that we all look for, but we tend to ignore other important aspects such as speed and customer service. Support is a very important segment in a hosting business. If the after sales support is not good, there is no point in opting for such hosting. You should always verify the integrity of the after sales support. Great point mentioned about the uptime as well. Most companies promise 99.9% uptime but the reality turns out to be something else. We should carefully validate these options before choosing a hosting service. Good to see your comment everywhere and good to know that you’ve started to follow my blog because if its worthy posts. I agree with your every viewpoint on hosting providers and yes, it would be good to look some factors while getting service from them. Thanks for including your comment, you’re always welcome to share your wonderful thoughts here! It is quite wonderful guide for them who are looking to buy a good hosting package or looking to change with existing one. These consideration will help them to choose the best hosting company. Thank you so much for sharing this detailed guide. Moreover, find the best shared hosting provider is always a challenge because until you don’t use them you won’t be sure about their actual face. I have worked with so many web hosts and the best ones are one.com and bluehost. Thanks for the post. Nicely written. Agree with your opinion on dedicated hosting Atish. Good to know that you have been working with so many hosting providers. 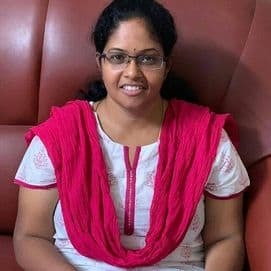 Nice post about shared hosting I agree with Atish I have tried many hosting but finally I come to end with one.com and ipage.com.Once you try them only you can know about there service but keep in mind the customer support are available 24/7. I am using zolahost and its working good for me on hosting.. its cheap and also a good technical support.. Thanks for sharing your hosting experience with us Kartik, stay tuned! Choosing a perfect host is always a tedious job. When there are so many options to choose from. You provided some of the main reasons on which basis one should buy a hosting plan. Thanks, will help me a lot. 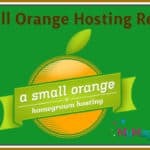 This is a fantastic guide to learn about shared hosting , very very informative. Cheers you found this post useful, stay tuned to grab more reliable information. You’ve shared some really great tips to consider while choose a web host. I must say this things are really necessary to check. Secondly I was wondering if you could help me choose a good VPS plan (managed of course). Considering traffic is about 1K visitors per day. Welcome to my blog Ashish! Thanks for your kind appreciation for my post. Truly speaking, I don’t have any experience with VPS hosting but some of my friends use VPS plan from Hostgator and they told that the service is pretty good. Your interest in checking my post is really appreciated, thanks! Sure, I’ll help you to get a reliable hosting service for your blog/blogs. Stay tuned! Very informative and helpful post especially for those who blindly follow a top brand and don’t bother to check what a share hosting must offer apart from competitive price. Selecting a hosting for one’s blog is a game changing decision. A wrong selection may spoil all his efforts with regard to content creation, SEO, networking as success of a blog directly relates to the quality of hosting also. Just take the point of speed as most of the blogs despite offering wonderful contents and promoting them massively don’t get huge traffic just because of the low speed. They keep tweaking with cache plugin to boost speed and they don’t believe it may be because of the low quality hosting as well. 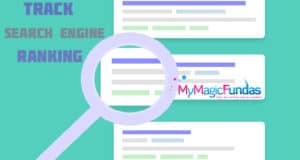 Thanks a lot for sharing this post with full description what one must confirm before buying a hosting and build a strong foundation of his blog. I guess I am late here! But the information in this post is as refreshing as if it was published yesterday. I think this is a best guide for people looking for shared hosting. I too am looking for review posts and the way you have blended this review of host4asp along with great information I loved this maam. Thanks a lot for posting such an useful post 🙂 🙂 i love reading your posts 🙂 🙂 I’m looking forward to move from blogger to wrodpress and i dont have any knowledge about hosting 🙁 🙁 i mean which is best and how to select the best one. This post really helps me to choose the best as you mentioned above price, feautrs, speed etc.. Welcome to my blog, glad that you’d like to read my posts. I feel good that I do have a lot of loyal fans like you. If you have the passion in blogging, I’d suggest you to blog in self-hosted WordPress domain. If you need any help in blogger to WordPress migration process, let me know! One of my blogging friends is doing this kind of job at affordable price with great quality. Absolutely! Pricing is the first concern of people when they choose a service online. Having an estimation of how much you are willing to spend is a good idea, but you do not want to sacrifice quality and features for a cheap price tag, especially if you are going to be using your new web host for business purposes. Reliability and pricing are two major factors one should look before considering a sharing web hosting. Sharing web hosting as we all know offers great hosting features at an affordable price range. I personally use and recommend Bluehost to all my readers as it’s been in the service from a long time. Great share Nirmala! Glad to know your views on shared web hosting, I do agree with them. Thanks for your great suggestion, keep visiting to leave your valuable thoughts! I would like to suggest to you another good shared hosting: the A2 hosting with SSD, it will provide the best performance and more faster for website load time. Hosting is very common and major part for every webmaster, thanks for sharing amazing detailed post. I also use many hosting provider but finally before couple days, I moved my hosting on hostgator.com. awesome post indeed here about to choose a best shared hosting for run your website and blog. Actually currently i am using Bluehost and Hostgator hosting both are very effective and good in use . Thank you for this post! The first actually useful and insightful piece I’ve read on set up a blog. I’ve read so many generic ones that don’t tell me anything new or are actually helpful or inspirational. You’ve shared some really great tips to consider while choose a web host. I must say this things are really necessary to check. Secondly I was wondering if you could help me choose a good VPS plan (managed of course). Considering traffic is about 1K visitors per day. Hey nirmala, Informative post. Since my blogging career started i have been using Bluehost India very much happy with it. Still would like to try AWS, ipage and A2hosting as all these have been doing positive roundups among bloggers. server performance, uptime and service is most important aspect one should look into when buying a hosting space. Thanks for sharing. 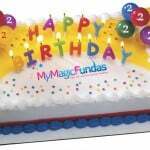 Hi Nirmala Shantakumar, Thanks for sharing, u gave me clarity to my confusion on hosting plans.